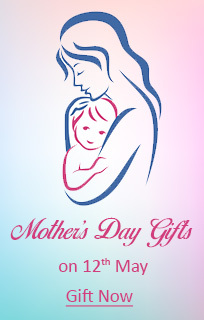 LETS TOGETHER MAKE THE EVENT OF SENDING A GIFT TO YOUR LOVED ONES - A RELISHABLE & PLEASURABLE MOMENT. IN A WORLD WHERE CUSTOMERS EXPECT MORE THAN THE PERFECT US2AP BELIEVES EVERY TOUCHPOINT MATTERS.. Plot No 124, ARK Chambers, Kavuri Hills Phase 1, Jubilee Hills, Hyderabad - 500033, Telangana, India. Phone +91 98499 85774. Email info@us2guntur.com Branches@ Balkampet, & Dilsukh Nagar, & Secundrabad. 3rd Floor,Sailok Complex 6th Lane - ArundelPet, Guntur-522 002, Andhra Pradesh, INDIA . Phone : +91-863-2237800. 54-14-3/2-1,G-1, Vigneswara Towers, Water Tank Road, Right side Road no-8, Srinivasa Nagar Bank Colony, Vijayawada-520 008, Andhra Pradesh, INDIA . Phone: +91-866-2545822. Flat No. 203, YSR Plaza, 4th Line, Dwaraka Nagar, Beside Aptech,Vizag - 16, Andhra Pradesh, INDIA. D.No. 3-1-468, Opp Radham, Ranganaikula Pet, Nellore - 524 001. Andhra Pradesh, INDIA. Phone : +91 98499 85774. Flot No: G1, Lotus Residency Apartment, Seshayyametta, Aryapuram, Rajahmundry, Andhra Pradesh, INDIA. No-50,Deepti nilaya, 8th cross, 8th main road, Malleshwaram, Bangalore-560003, INDIA . Phone : +91 98499 85774. 5/171 A, Lalitha Park, Lakshmi Nagar, Delhi - 92, INDIA . No. 18 (old No. 70), Halls Road, Kilpauk, Chennai - 10 Tamilnadu, INDIA .